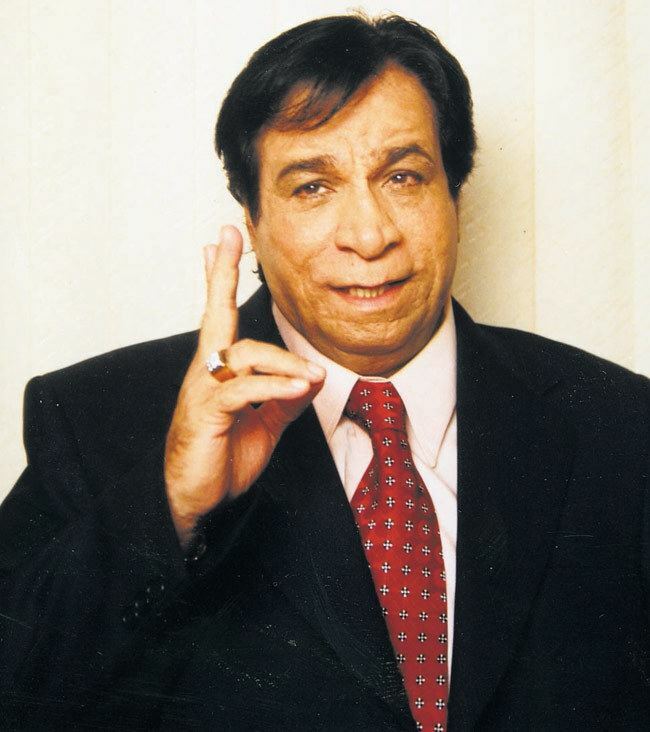 Kader Khan was an Afghan-born Indian-Canadian film actor, comedian, script and dialogue writer, as well as director. He has appeared in over 300 films after his debut in the 1973 film Daag in which he acted as a prosecuting attorney. Khan graduated from Ismail Yusuf College affiliated to Bombay University. 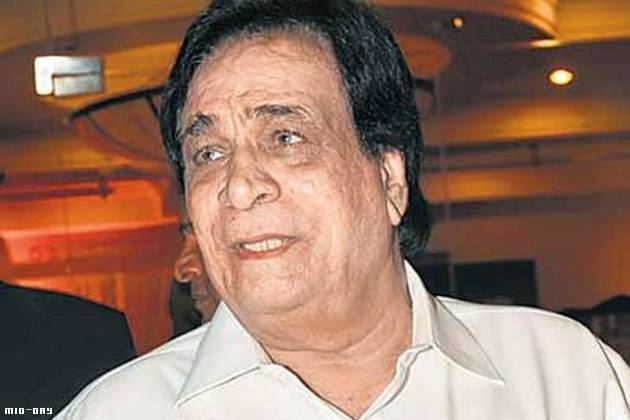 Before entering the film industry in the early 1970s, he taught at M. H. Saboo Siddik College of Engineering, Mumbai as a professor of Civil Engineering. Khan was born in Kabul, Afghanistan. His father was Abdul Rahman Khan from Kandahar while his mother was Iqbal Begum from Pishin, British India (now in Balochistan, Pakistan). Khan had three brothers Shams ur Rehman, Fazal Rehman and Habib ur Rehman. He is an ethnic Pashtun of the Kakar tribe. He is a Haffiz-e-Quran. He enrolled in a local municipal school and later in the Ismail Yusuf College after which he obtained a Master's Diploma in Engineering (MIE) from the Institution of Engineers (India) specializing in Civil engineering. Between 1970 and 1975, he taught at M. H. Saboo Siddik College of Engineering in Byculla as teacher of civil engineering. While performing in a play in the Annual Day function of the college, he was noted by Actor Dilip Kumar who signed him up for his next film. He used to write plays for theatres and was subsequently offered to write the script of Jawani Diwani. This is how his film career started. Khan lives in Mumbai, the home of the Hindi film industry. He also has family in the Netherlands and Canada. He has three sons: Sarfaraz Khan, Shahnawaz Khan, and a third son in Canada. His son Sarfaraz Khan has also acted in several films. He also belongs to the family of Zarine Khan, who also works in the film industry as an actress and model. 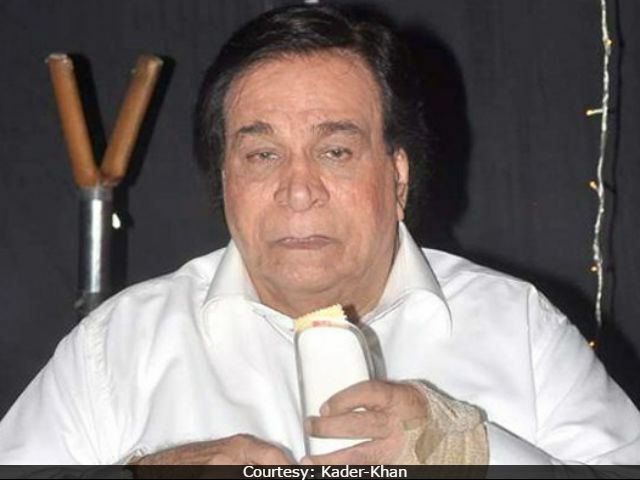 It is reported that Kader Khan took the citizenship of Canada. 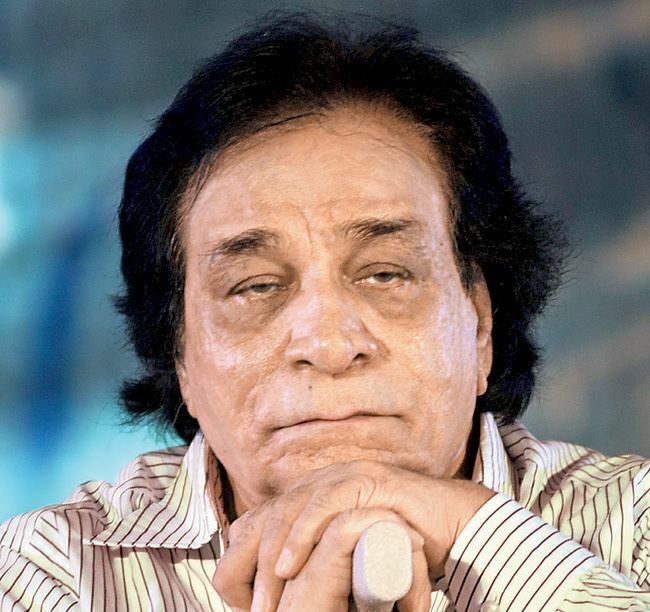 Khan has acted in over 300 films in Hindi and Urdu and has written dialogues for over 250 Indian films, from the 1970s up to the turn of the 21st century. Manmohan Desai paid him a handsome amount of one lakh twenty-one thousand for writing dialogues for the film Roti (1974). He is most popularly recognized for working with actor Jeetendra, Feroz Khan, Amitabh Bachchan, Govinda and in films by David Dhawan. 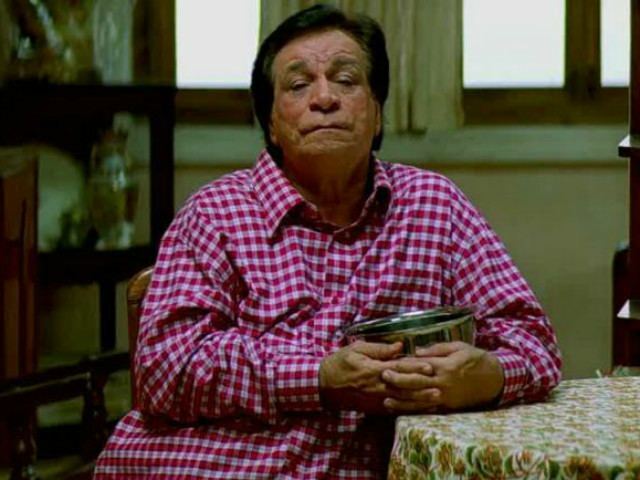 He has worked side-by-side with other comedians like Shakti Kapoor and Johnny Lever. He has played a large variety of parts in films like a supporting role of a father, uncle, brother, main villain or the side villain, guest actor and comedian. He recently appeared in Tevar (2015), Mujhse Shaadi Karogi (2004), Lucky: No Time for Love (2006) and Family: Ties of Blood (2006). He starred in his own comedy television series titled Hasna Mat, which aired on Star Plus. He made a comeback on Indian television with a comedy series Hi! Padosi... Kaun Hai Doshi? on Sahara One. 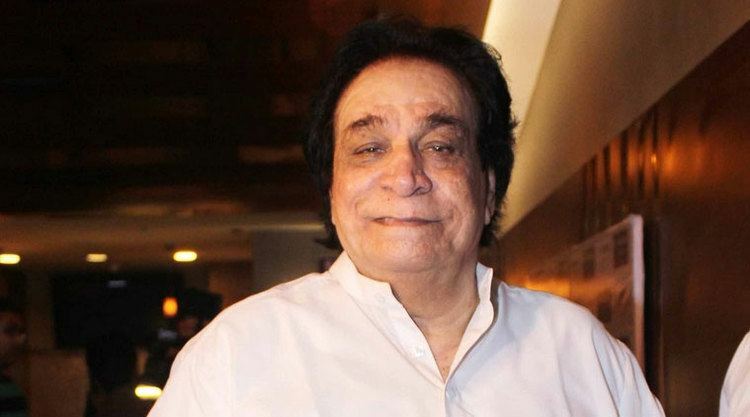 As a dialogue writer Kader Khan has worked with Manmohan Desai and Prakash Mehra for their films starring Amitabh Bachchan. Besides Amitabh, he was the only one to work in the rival camps of Mehra and Desai. 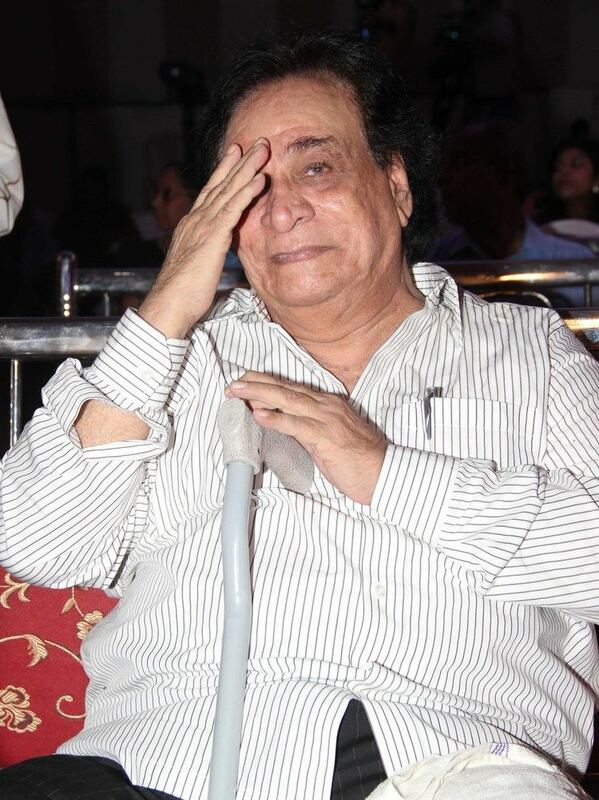 His films with them include Ganga Jamuna Saraswati, Sharaabi, Coolie, Desh Premee, Lawaaris, Suhaag, Muqaddar Ka Sikandar, Parvarish and Amar Akbar Anthony. Other Amitabh Bachchan films for which he has written dialogues are Mr. Natwarlal, Khoon Pasina, Do Aur Do Paanch, Satte Pe Satta, Inquilab, Giraftaar, Hum and Agneepath. Khan has also written screenplays for films starring Amitabh like Agneepath and Naseeb. Other successful films for which he has written dialogues include Himmatwala, Coolie No. 1, Main Khiladi Tu Anari, Kanoon Apna Apna, Khoon Bhari Maang, Karma, Sultanat, Sarfarosh, Justice Chaudhury and Dharam Veer. Khan had been suffering from supranuclear palsy, a degenerative disease. He was hospitalized on 28 December 2018 complaining of "breathlessness" in Canada, where he stayed with his son and daughter-in-law while seeking treatment. 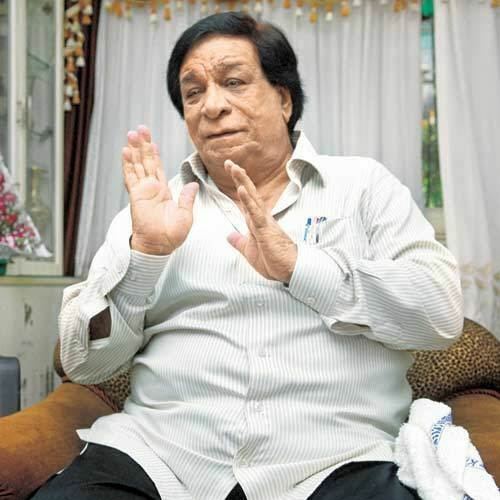 On 31 December 2018 (EST), Khan's son, Sarfaraz Khan, confirmed that Kader Khan had died. 2013: Sahitya Shiromani Award for his work and contributions to Hindi Film industry and Cinema.